Three years since the launch of the infamous Double Fine Adventure campaign and a year after Act 1’s much-anticipated release, Broken Age has finally arrived in its completed state. The first chapter gave us the charming coming-of-age stories of Vella and Shay, two adventurous teenagers who question everything and escape the confinement of their lives. In Act 2 we find Shay and Vella in a reversal of sorts, trapped in each other’s worlds and working to find a way back to their families. This proves to be harder than it looks -- from both a plot and gameplay perspective. Broken Age is very much designed and intended to be played as one game, not chopped up into two parts. If you've managed to hold out this long to play both acts together, rest assured that you've done yourself a favor. The second act gets straight to business, dumping the player into some heavy plot points right off the bat. The game’s challenging puzzle logic also comes through in full force with no time to ramp -- progressing in the game relies heavily on prior knowledge of the landscape and characters. I asked for more puzzle complexion in my review of Broken Age: Act 1, and boy did I get it. The puzzles are of the same kindred as the first act -- difficult to piece together at first, with a dash of trial and error mixed in. However, this time around the obstacles are far more difficult and obtuse, requiring deep creative thinking, but more often than not bordering on the “impossible to solve without help” realm. I found myself pondering puzzles for long periods of time until eventually giving up, clicking through every possible option as a last resort. Where the first part of Broken Age had more environmental exploration and shorter, more gratifying puzzles, the second act tends to lean on more long-term challenging puzzles. Puzzle solutions from the first portion of the second act were used throughout almost the entirety of the game -- much of my time was spent drawing out diagrams on post-its and endlessly referencing them. The ability to switch between stories is still present, which comes in handy when stuck on a puzzle or in need of a change of scenery. 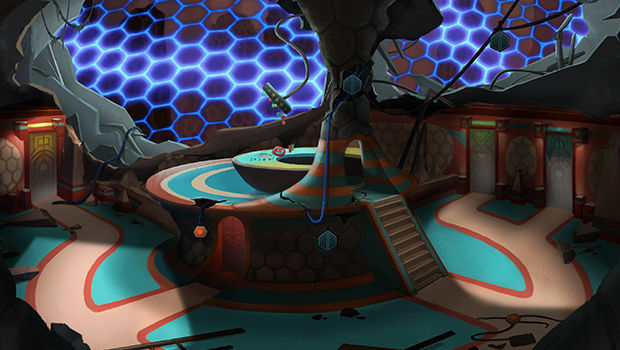 However, during certain parts of the game some puzzles require information from the other side of the story. This caught me off guard at first but was less annoying once it became obvious that this would be a theme throughout the latter half of the game. The bar from Broken Age: Act 1 is definitely met if not exceeded in Act 2 in terms of the visuals, nostalgia, and clever dialogue. However, the setting in the second act is practically the same as the first half of the game, with the exception of a few minor changes. Although I adore the characters in Broken Age and was happy to see them again throughout the second act, I had hoped to experience new scenery and perhaps new characters. The story in Act 2 goes in a strange direction, and feels rushed -- especially compared to the first act, which has an even progression and was much more cohesive. Conversations are had between characters that lay plot points out on the table very quickly, and in an uninventive way. It seems a tad thrown together, and I would have preferred to discover the plot through means of gameplay instead of having it explained via single lines of conversation. Unfortunately, by the end of the game I was also left with with a lot of unanswered questions. Since it had taken a year for this second installment to make it to us, I had expected a little more on that front. 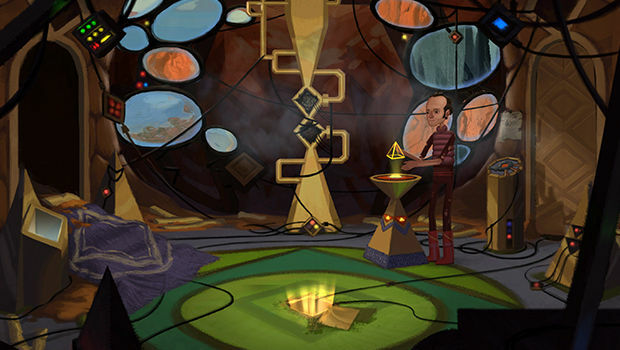 Broken Age: Act 1 was so perfect that perhaps my expectations were inflated when playing through the second half. 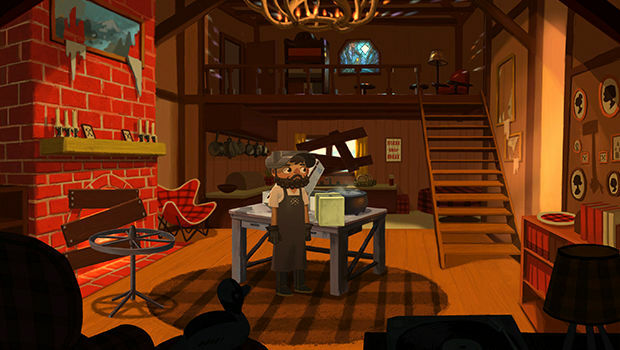 However, despite the challenges Broken Age is still very much a beautiful game with a heartwarming story. The puzzles, as frustrating as they are, come from a place of creative invention that defines the point-and-click genre. I choose to treasure its high points-- the charming characters, ingenious dialogue, and silly childlike whimsy. Impressive effort with a few noticeable problems holding it back. Won't astound everyone, but is worth your time and cash.